Personalized favors are in, and their popularity doesn’t show any signs of going away soon. If you want to give your baby shower guests a great favor, go for something personalized. Here are 3 fun options that might inspire you to choose a great favor for your baby shower. These fun, cherry flavored lollipops will be the perfect favor for your baby shower guests when your personalized sticker is added to the packaging. Choose your own design and place your baby’s name or due date on the front. There are many different designs to choose from, so it’s easy to find something that suits you! Who can resist baby animals? 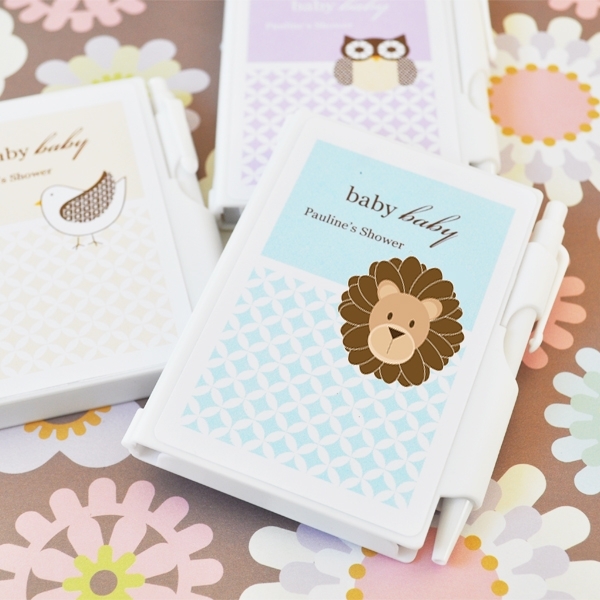 This beautiful notebook favor features baby animals and can be personalized to include your choice of wording. Each notebook features a pad of plain white paper and a pen attached to the side. These are super convenient to have in the purse or car, so your guests are sure to use them and really enjoy them. 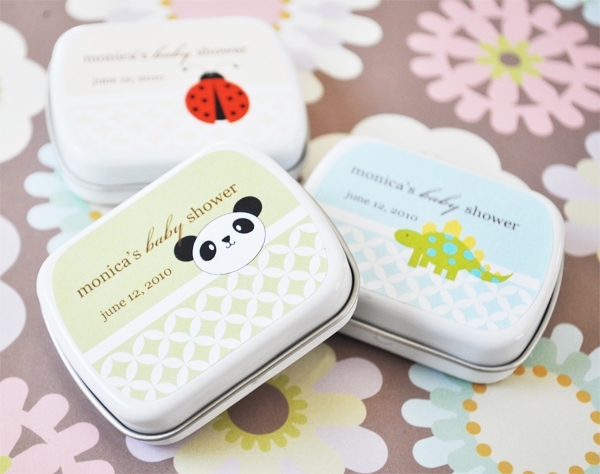 Choose from baby pandas, dinosaurs, lions, ladybugs and more for your personalized mint tins. These are so much fun and truly adorable. You can place your favorite mints inside and provide them to your baby shower guests, who are sure to love them. These are a lot of fun and super cute. 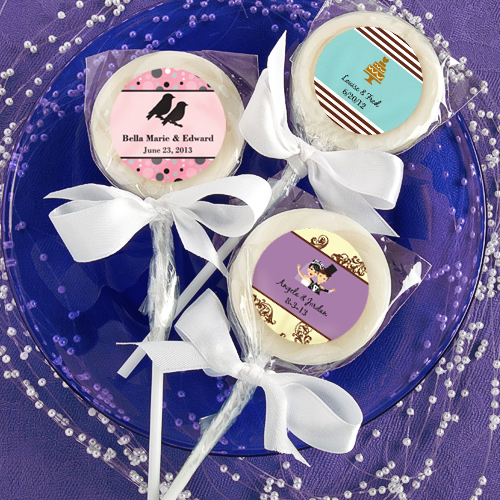 No matter which personalized favor you choose, you can bet that your guests will be thrilled! This entry was posted in Animal Baby Favors, Baby Favor Tins, Edible Baby Favors, Personalized Baby Favors and tagged lollipop, notebook, practical baby favors. Bookmark the permalink.